Because of recent growth, Advantis Credit Union’s 2nd floor was in need of being remodeled and repurposed. The intent was to create an environment that was centered around their employees. “It was important that we created an interesting work place so that our staff knew they were valued and that their work was appreciated,” stated Tim Clouse, VP of IT and Facilities. 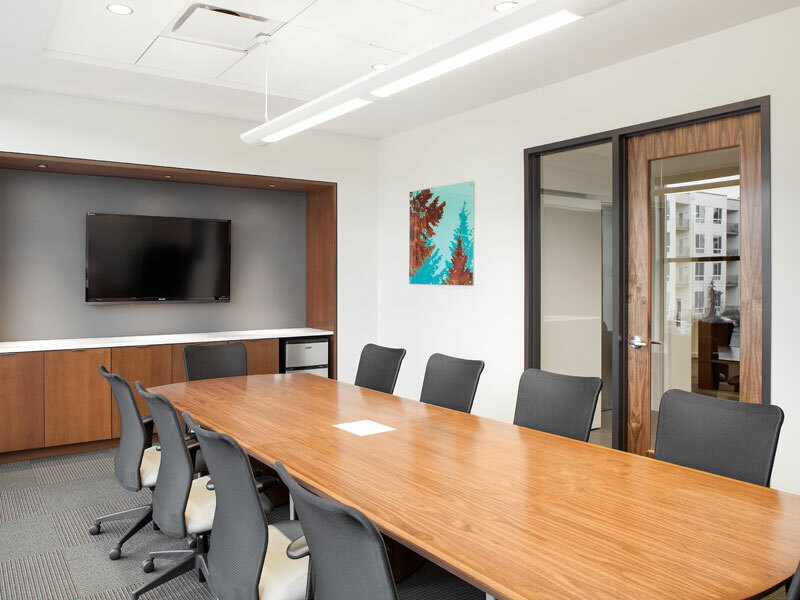 To create an interesting space, Advantis Credit Union partnered with SUM Design Studio + Architecture and NW Office Interiors. The vision for the new office environment was contemporary, open, and timeless. The furniture selected had to inhabit both the open plan and private office. From finishes to design attributes, the aesthetic needed to look cohesive throughout the space. The first major change was moving the enclosed offices from the perimeter to the core of the building, allowing natural light to fill the open plan. Additional impromptu spaces and meeting rooms were also incorporated into the new design. Using Xsite with low height panels allowed more light to enter the space while encouraging interaction. Various storage components were used to maximize space at each workstation, including a Priority lateral file with a cushion top to accommodate a brief guest. Priority casegoods were also used in the enclosed offices to ensure a cohesive look throughout. Loosemore and Clouse appreciated how the contemporary design of the furniture really fit the design of the space. “I used this product because the details, colors, and design matched what we were trying to accomplish,” Loosemore explained.